Accent your beach kitchen with the Blue Crab Paper Towel Holder. 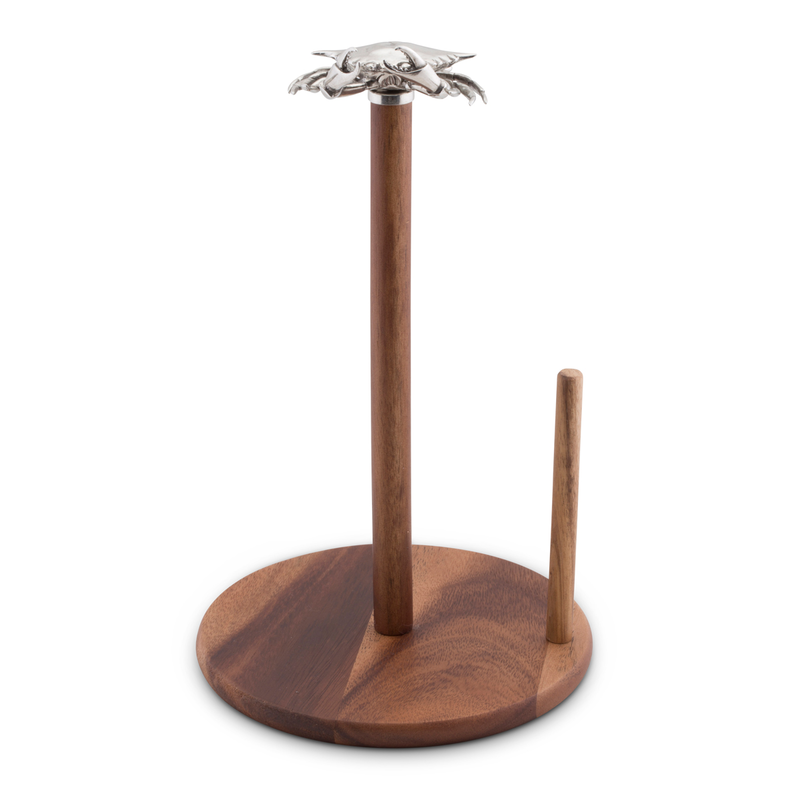 This paper towel holder features a pure pewter, accurately detailed Chesapeake blue crab finial on gorgeous acacia wood for a beautiful addition to your home. This coastal kitchen decor ships from the manufacturer. Allow 3 to 4 weeks. Cannot express ship. For even more items, we ask you to take the occasion to explore our full collection of coastal kitcen decor at Bella Coastal Decor now.